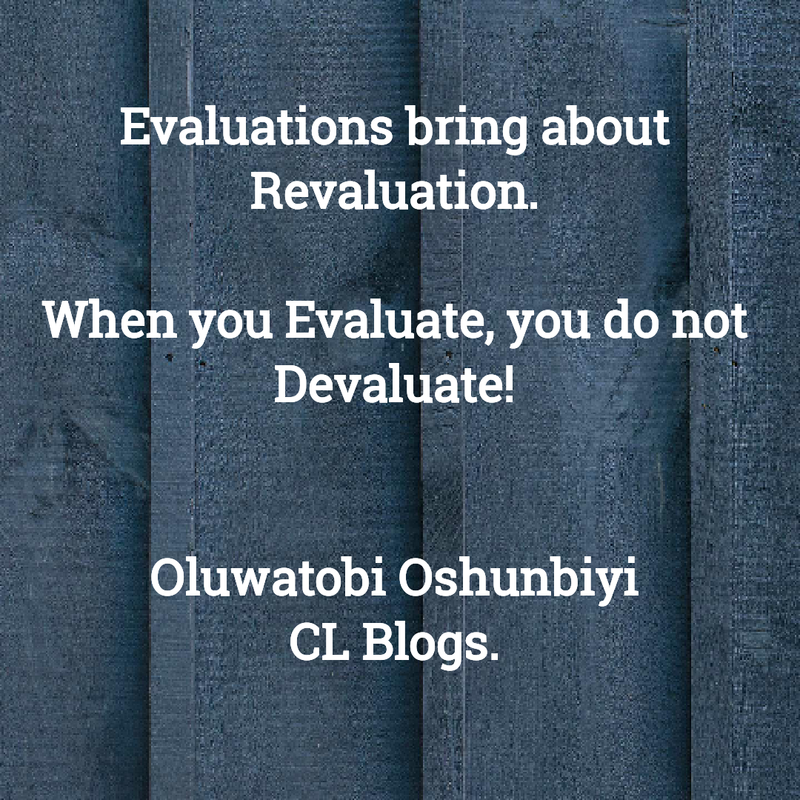 Evaluation: the act of ascertaining/ fixing the value or worth of. 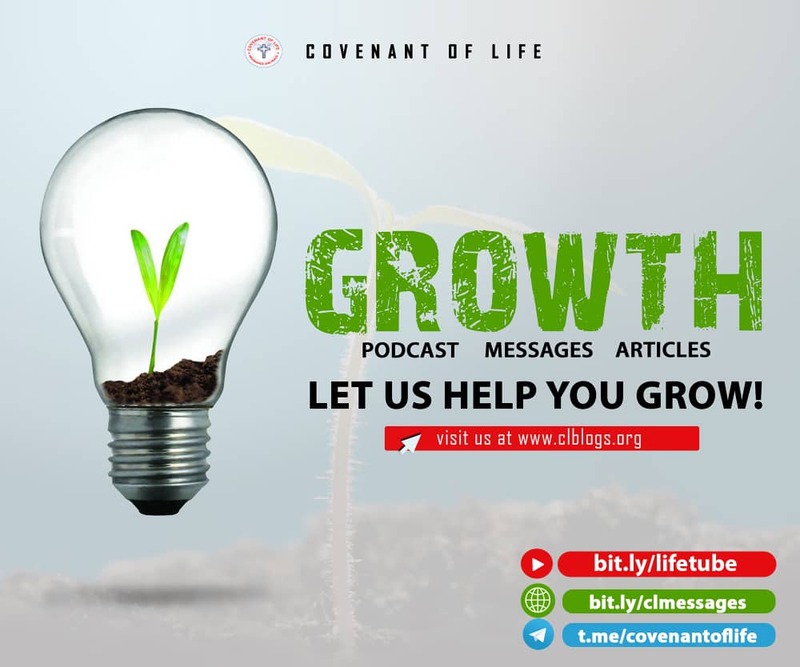 There is a piece that says: ‘you don’t know the value of what you have been missing till it comes’ and ‘you do not know the value of what you have till its lost’ – Evaluation! Evaluation is the second recipe of the deal for the meal. After you have monitored the deal, knowing the why, when, who, what and all, there is a need to evaluate all these informations. 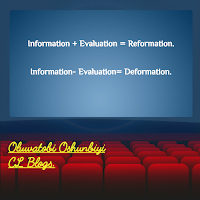 I want to boldly say; ‘when you are informed you need to be reformed’ and that one recipe that brings out reformation from information is Evaluation. 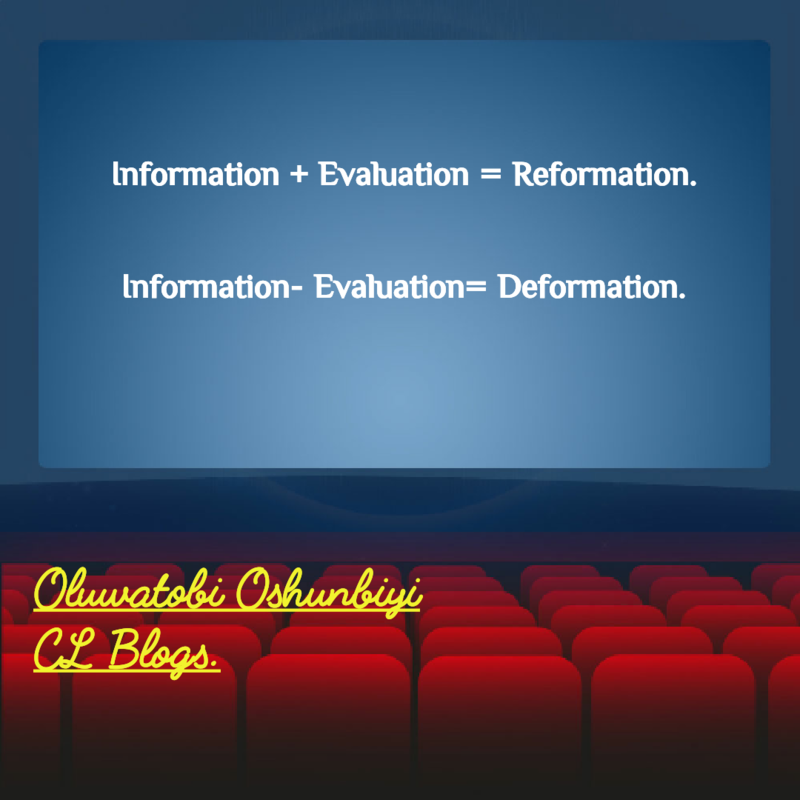 Information + Evaluation = Reformation. Information without evaluation makes you malformed. 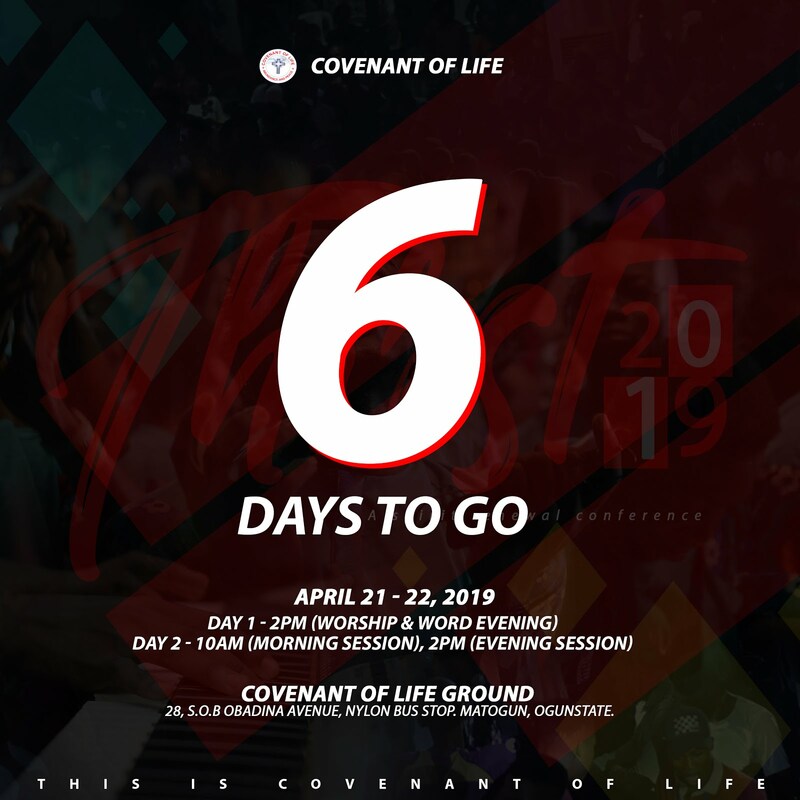 Of a truth you have the information at hand, you cannot perish like the scripture (Hosea 4:6) said but you can be misinformed. 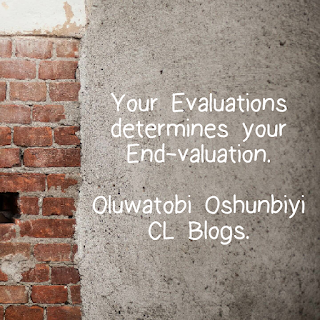 Evaluation is seeing the worst and best of a career/business/job, which comes after Monitoring! 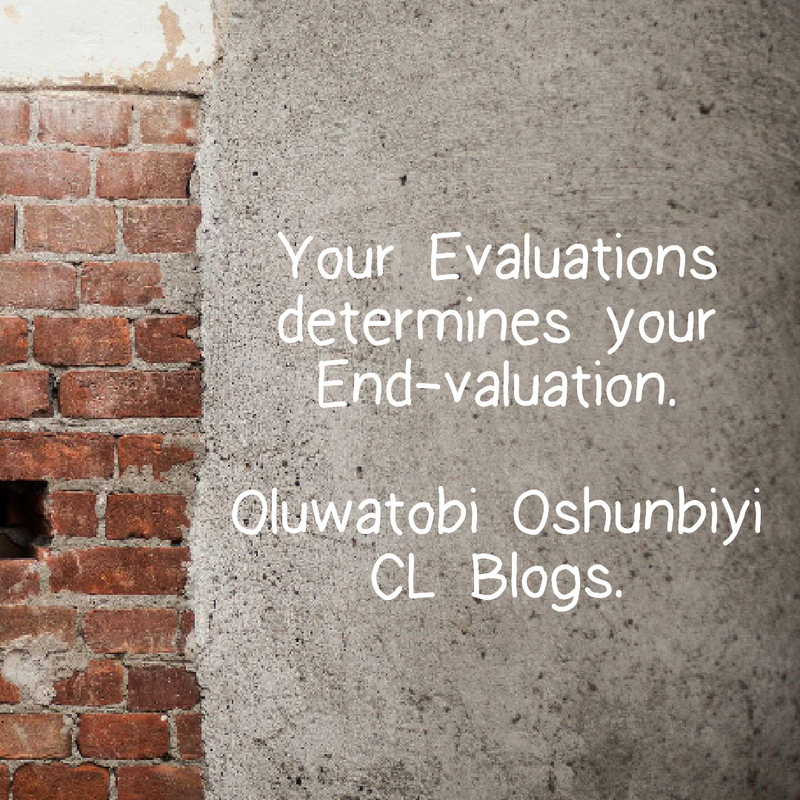 After monitoring that career/business/job, that process you go through to ascertain and fix a value/worth on the job/career/business is Evaluation. That means what interest me differs from what interests you and your Evaluation determines your End-Valuation (Smiling). Everything you have been passing through, wisdom requires of you to see as monitoring; the gathering of information. 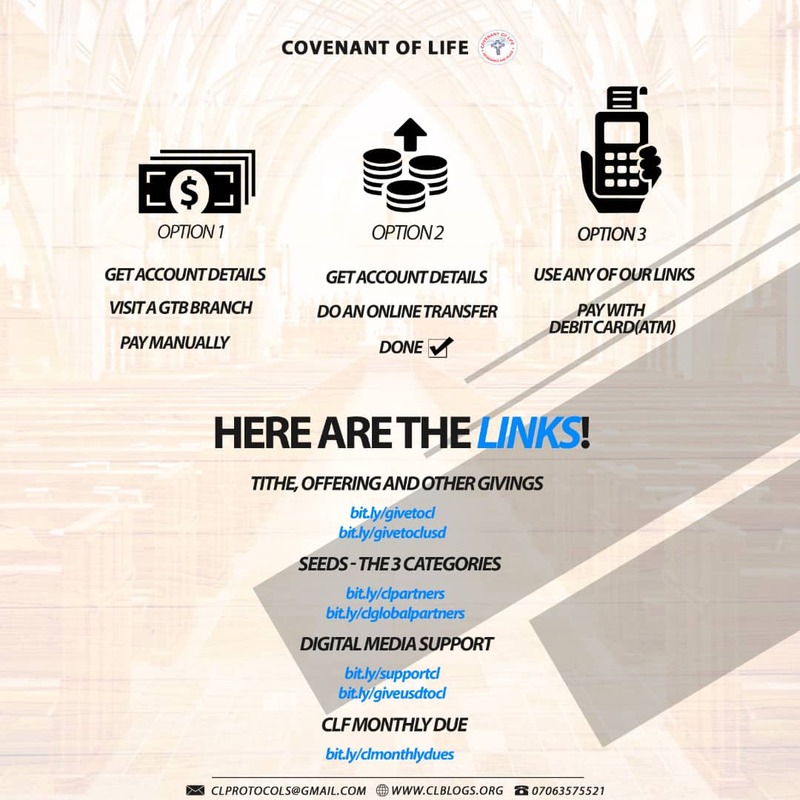 Information here has to do with all about us- How you were given birth to (the scenarios and situations surrounding your birth), how you schooled (your education time-line), how you ventured into relationships and the type of relationships, how you got that job, why you chose that career/ venture into that business. All these call for monitoring which we have discussed. But much more than just monitoring what God and nature expects from you and I is Evaluation! Not all career/job/business is god for you, not all relationships are meant for you even the ones you felt was….. this you learn after you have evaluated. The first man had to hide the treasure back after he has evaluated all he had been monitoring, the second man did the same thing too. Monitoring made them discover it while Evaluation made them ascertain the value of the treasure and pearl and fix a worth on it. How much have you monitored? How much of the information around you have you exhausted and evaluated ? What are you doing with your life? Have you found a deal?? Take it upon yourself today to evaluate yourself, that career/business/job, that relationship (it’s a business too- smiling). 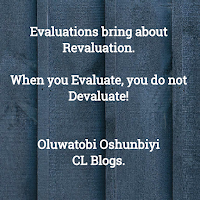 Remember when you Evaluate you cannot De-valuate.